With a new baby in the family there’s been quite a lot of juggling of late at home to try to make sure that the other kids are happy and occupied whilst Tube Stop Baby has been taking up my time and attention. My two kids have been reasonably understanding about this and they have learnt that there are times that they can have my full attention and other times when the might need to occupy themselves for a bit. As long as they have something to hold their attention they’ve been pretty good about this and so it’s been excellent timing that I’ve had loads of different activity books to review lately. The Secret Woodland Activity book was one of the first to arrive and it is just perfect for Little Miss C. She loves all sorts of cute woodland scenes and animals and this book has both in abundance. I think what I liked most about The Secret Woodland Activity Book is that it’s more than just a collection of pages with activities for children on them. Instead it’s like being taken for a journey through a magical woodland and meeting lots of its wonderful inhabitants on the way. The artwork has a gorgeous Scandi-style to it that makes it super cute for children on all ages. 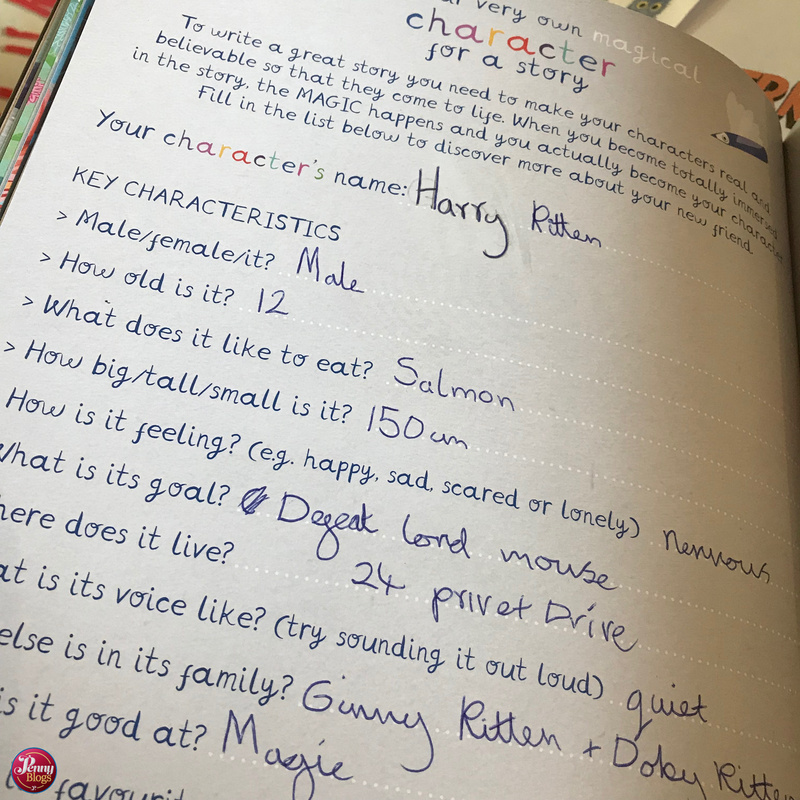 The book contains everything from pages to colour in, maths puzzles, word searches, prompts to come up with a character of your own and write a story about them, scenes to complete with stickers (the book comes with over 150 of them) and instructions to make various craft projects. LMC has been enthralled with this activity book for hours, steadily working her way through most of the activities in it. At the start there is an invitation to draw a picture of yourself entering the woods, and with whatever you need to take with you for your adventure. LMC seems to have done so with gusto. 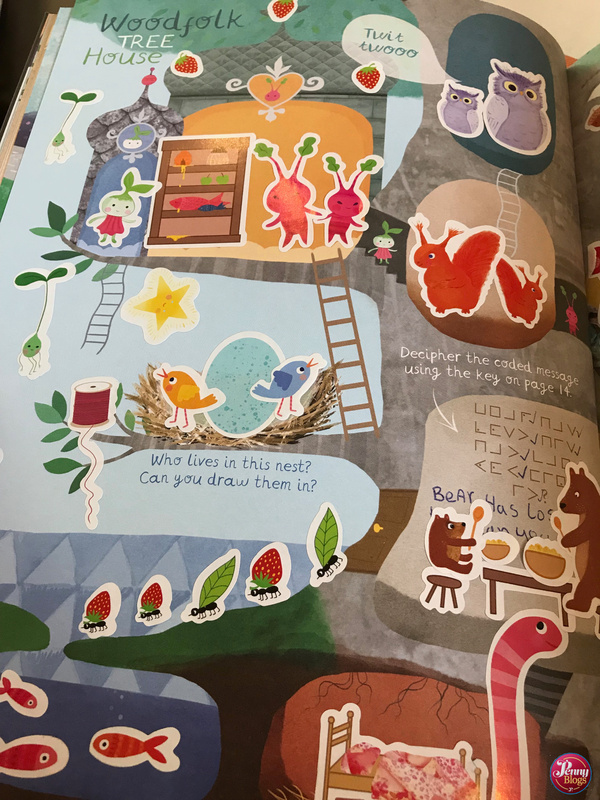 She’s also really enjoyed using the stickers to create pictures throughout the book. She has also come up with an excellent character for a story. No prizes for guessing which series of books she’s currently working her way through at home! 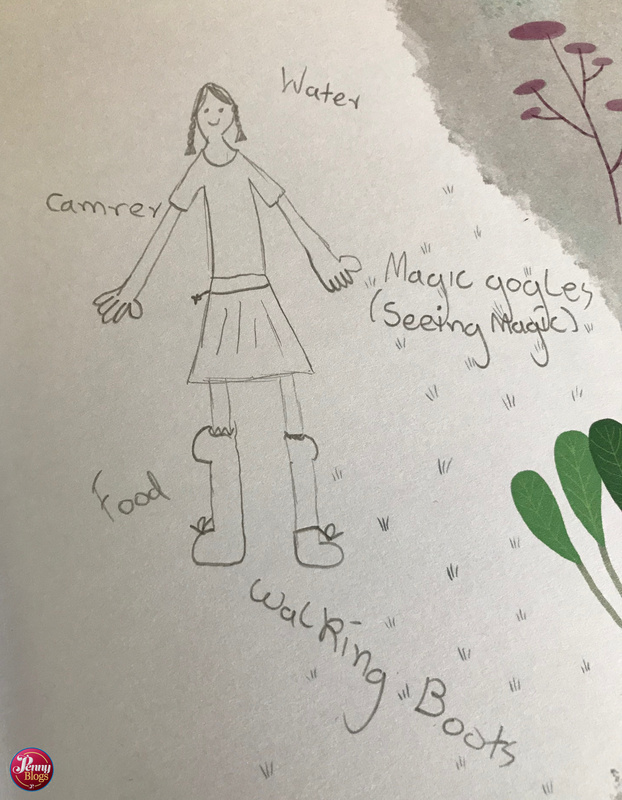 It’s fair to say that The Secret Woodland Activity Book has been absolutely perfect for Little Miss C. With a recommended age range of 4 – 8 years old it worked perfectly for her as an eight year old. I’d think that children at the younger end of the range would need some adult help, but actually older children would still enjoy many of the activities included. 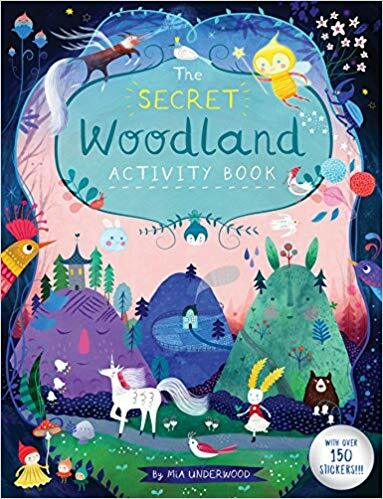 The Secret Woodland Activity Book by Mia Underwood was published in November 2018 by Button Books. It is priced at £9.99 is available to buy online here. Disclaimer: We were sent a copy of The Secret Woodland Activity Book for the purposes of this review. All opinions remain my own. This post contains affiliate links. 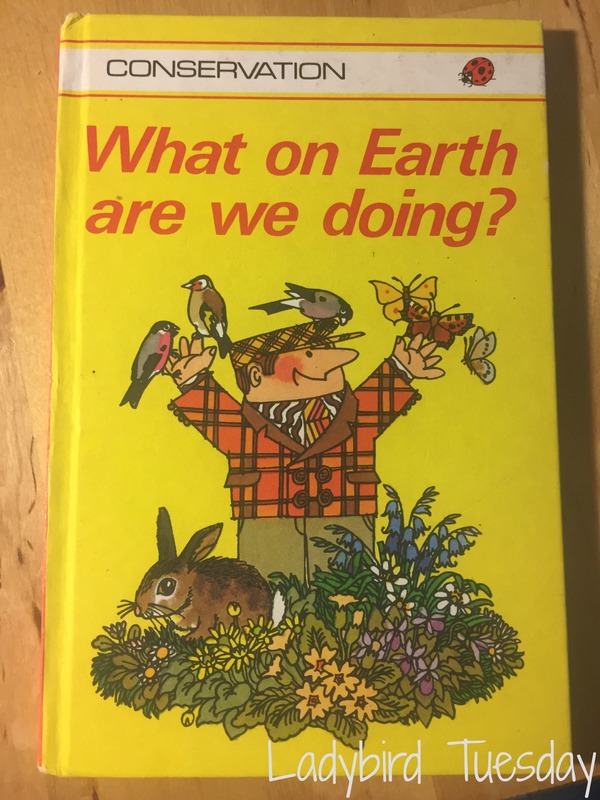 Ladybird: What on Earth are we doing? No – this isn’t some statement about the state of UK politics (although – maybe it should be!) but instead the question posed in the title of this week’s Ladybird book choice. What on Earth are we doing? is part of Ladybird’s 1970s Conservation series (series 727). These books seem to have been published with two different cover versions, but I have to be honest and say that I’m not exactly sure which version of the cover came first. This title was published in 1976 and judging by the man on the cover of both versions I believe it to be just the covers that differ, with the inner pages remaining the same. There is something that makes this particular Ladybird title a bit special though and links it back to the original Ladybird nature titles, despite it’s very 70s appearance. What on Earth are we doing? 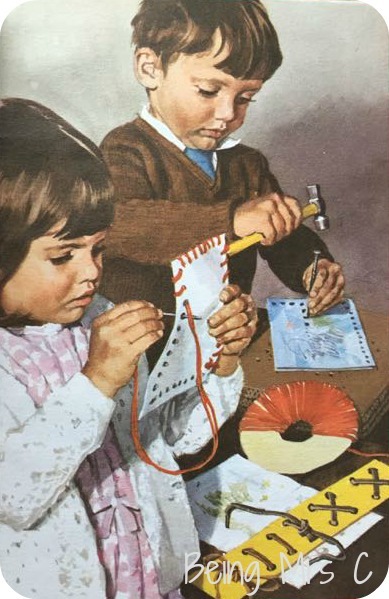 is credited as having two authors, D H Keen and G E Simmons (and was illustrated by Pat Oakley of Hurlston Design, Birmingham) but it is the first of these authors that is of particular interest and this mysterious sounding D H Keen plays a very important role in the Ladybird story. Douglas Keen first joined Wills and Hepworth (the original publishers of Ladybird) as a travelling salesman in 1936 and returned to the company after returning from service in the Second World War. Wills and Hepworth had started publishing Ladybird books during the war and it had been their intention to revert back to printing car brochures once the war was over. Keen was keen (excuse the pun) to convince Wills and Hepworth to continue publishing Ladybird books as he could see how successful they were. The first Ladybird books were based on fair stories and animal tales but Keen could see a market for education titles too and as he had a passion for the natural world he set about, with his wife, to make a prototype book entitled A Book of Birds and Eggs. 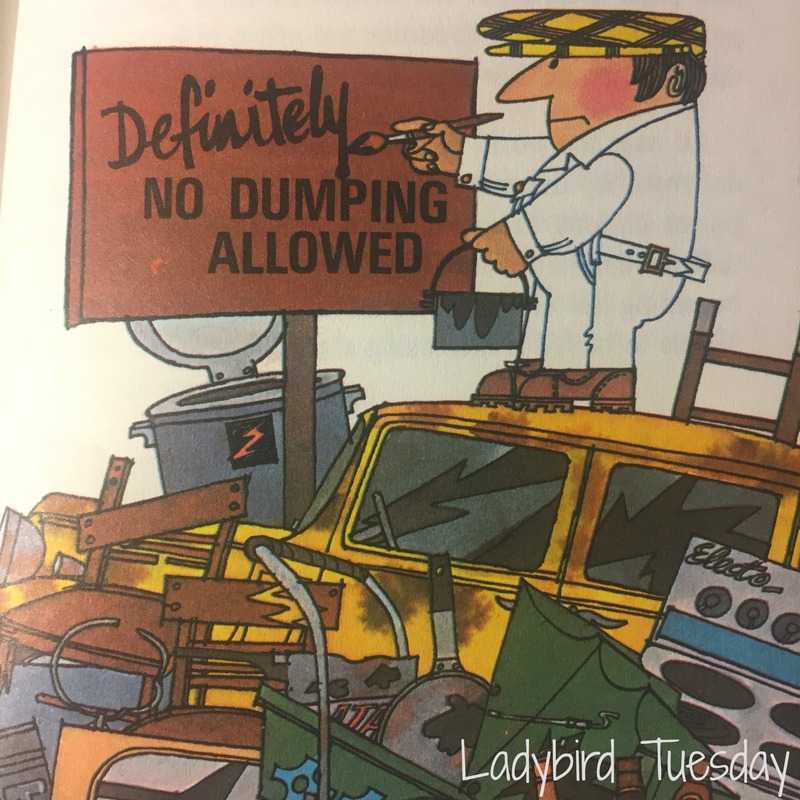 His work paid off and Ladybird used his prototype as the basis for the book British Birds and their Nests. So, how does this link in with What on Earth are we doing? Well, author D H Keen is no other than Douglas Keen. And What on Earth are we doing? is said to be the only title where he is credited as co-author. The book itself covers all the different ways in which man’s life impacts on the planet, and what we can do to change that impact. It starts of by talking about how this is “a book about you” and the world itself. There are pages on the land and the impact of farming methods on it, as well as talking about towns and cities, pollution and means of travel. The book also talks about how the Earth’s population is growing and how the planet’s resources aren’t necessarily enough to feed everyone if the population continues to grow at the expected rate. In a way it was seen as a slightly controversial book, but one that I think was also very important in educating young readers about what was going on to the world around them through man’s actions. 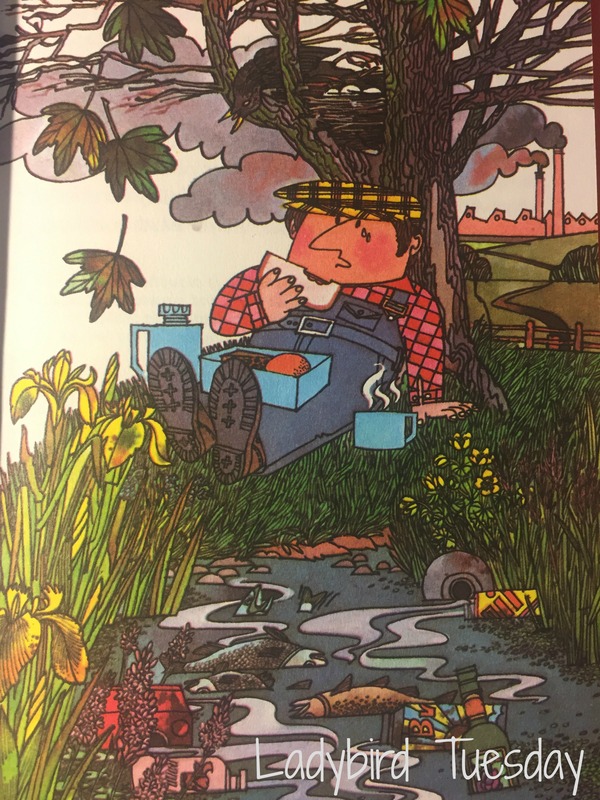 As a Ladybird collector it raises lots of questions for me about exactly who Pat Oakley was and why a design company were credited will illustrating the title. 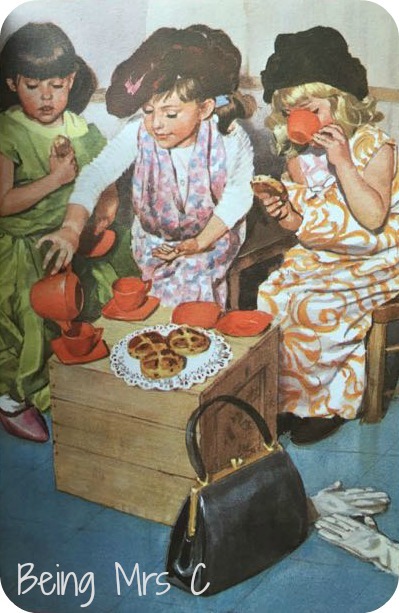 I’m guessing (and it really is only a guess) that they may have been commissioned to illustrate a whole series, but it’s something I feel I ought to go and research more before I can properly call myself a Ladybird collector. Once I’ve moved and got my collection all in one place I think it will be time to properly swot up on everything and try to earn my collector stripes! 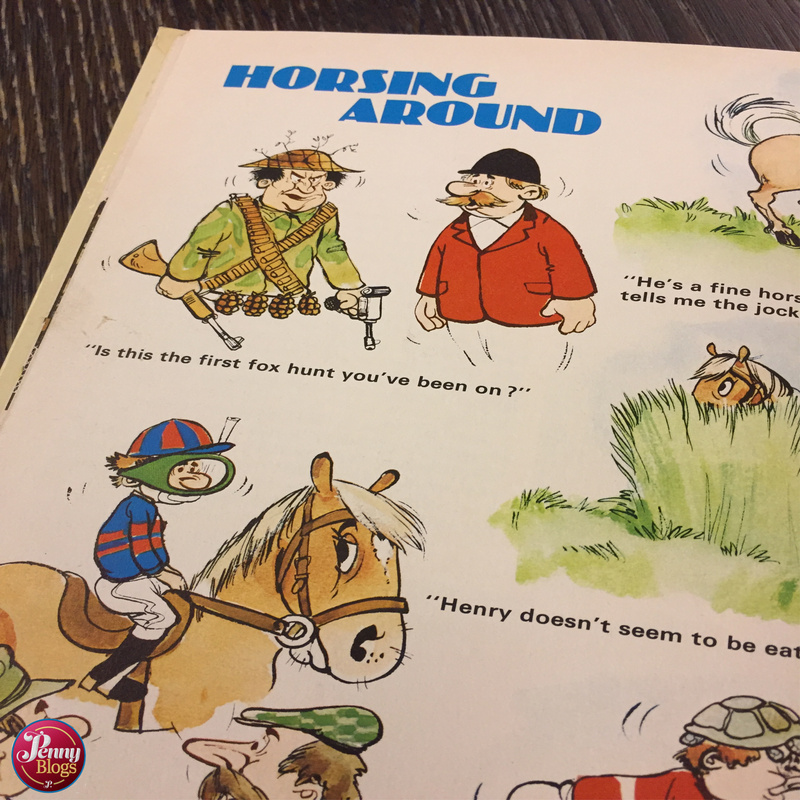 This post first appeared on Ladybird Tuesday over on Being Mrs C. I am currently in the process of moving all these posts over to their new home on Penny Reads. To see the posts that have already moved over take a look at this page. I can see an occasional series starting here on Penny Reads. Vintage annuals found in secondhand book shops. 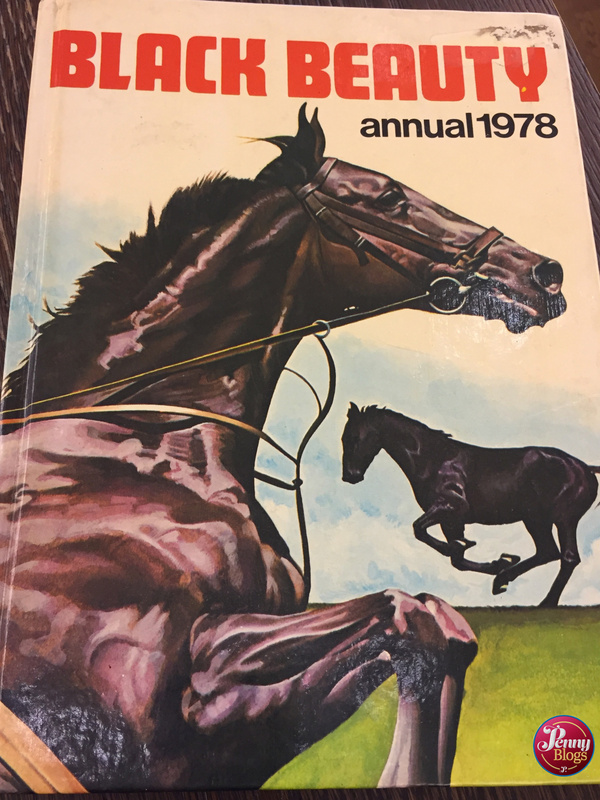 After featuring the Buzby Annual that Bonn and I came across in a National Trust shop of all places, today I bring you the Black Beauty Annual from 1978. Written in 1877, Anna Sewell’s Black Beauty is probably one of the best selling books of all time. Although Sewell died only 5 months after its publication, she lived to see its success. For years children have loved the story, but it also holds important messages about animal welfare, kindness, sympathy and respect. 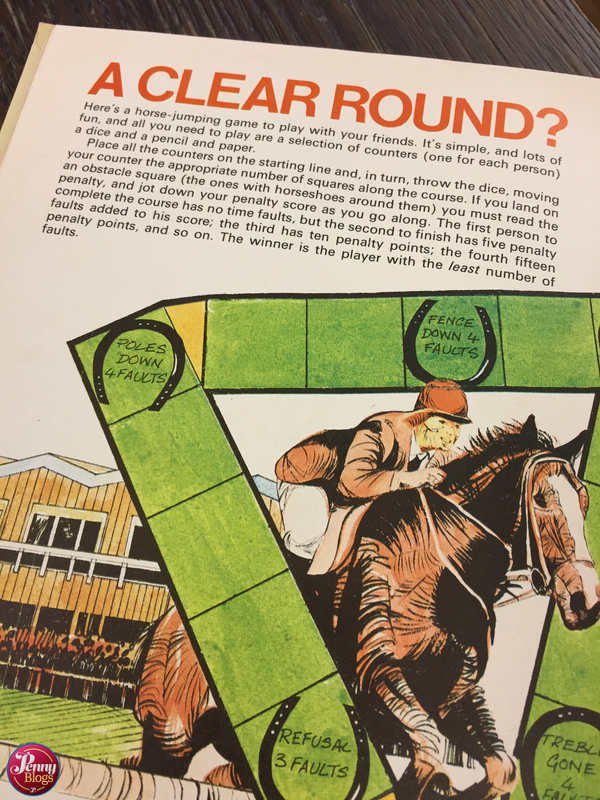 What made someone decide to produce a Black Beauty Annual in 1978 is slightly unclear though. I do know that in that year there was a Hanna-Barbera animated version released via CBS, but I’m not clear that this was every released or shown here in the UK where this annual was published. Even if it was, I can’t find any link in the annual itself to Hanna-Barbera. The annual contains the regular mix that you expected in annuals back in the 70s and 80s. There are quite a few stories for children to read, but also jokes, games, puzzles and some educational bits. 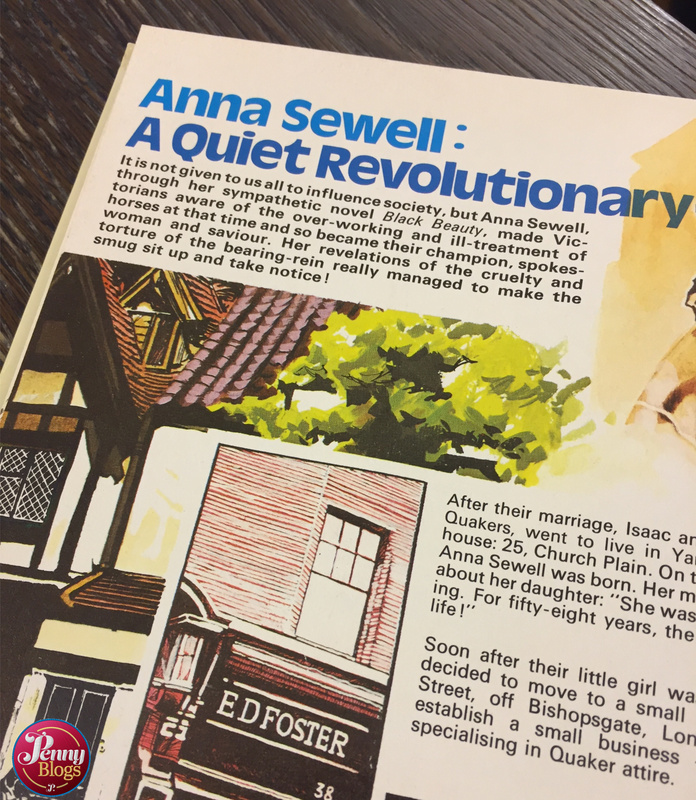 As well as a section on Anna Sewell herself, many of the horses featured the story are profiled, and there’s even a section on famous horses in the bible. I do wonder if they were struggling for content a bit by the end there! One thing I note about the annual is the fact that it exclusively contains illustrations. There’s not a single photograph of a horse in there at all. I don’t know if that’s because it was cheaper to employ illustrators than photographers, or just quicker. Or maybe a style decision? With four illustrators listed as having worked on the book, and no author or editor, I’m guessing that the illustrations were seen as an important part of the book as a whole though. It just seems a bit strange to me that they all get credited, yet those responsible for all the words don’t. Or maybe that’s just the way it was back in 1978? How do you inspire children? Especially when it comes to realising that it’s not only adults who can make a difference in the world? That’s exactly what Never Too Young sets out to do and the timing for Little Miss C to read this couldn’t ‘t be better. Having read Create Your Own Happy LMC seems to have been empowered somewhat by the realisation that she is in charge of her own future. Even at the tender age of 8. 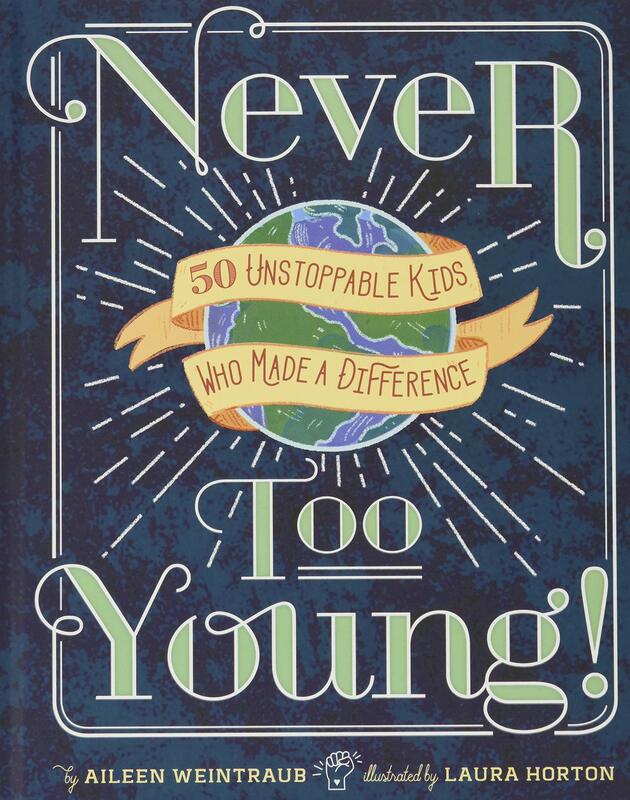 Never Too Young shares the stories of 50 children who have made a difference in the world. With a double page spread devoted to each person, there is full size illustration of them alongside a page describing what they did to make a difference. One thing I really like about this book is the mix of “children” that have been included. Some are historical figures whose actions are well know – like Anne Frank or Mozart. Others may only just be into adulthood, but are still well know to children of today, like Emma Watson. Some are not household names at all, but all have an inspirational story to tell and it’s been really interesting talking to LMC about how people don’t have to be “famous” in the traditional sense to make a difference to others or the world around them. The other thing that I really like about this book is that it’s not just looking at one gender. I fully understand other books that do, but it’s also lovely to see a book that just celebrates children rather than just boys or girls. On a practical level, that also means it’s the perfect book to be a gift for either a boy or a girl. 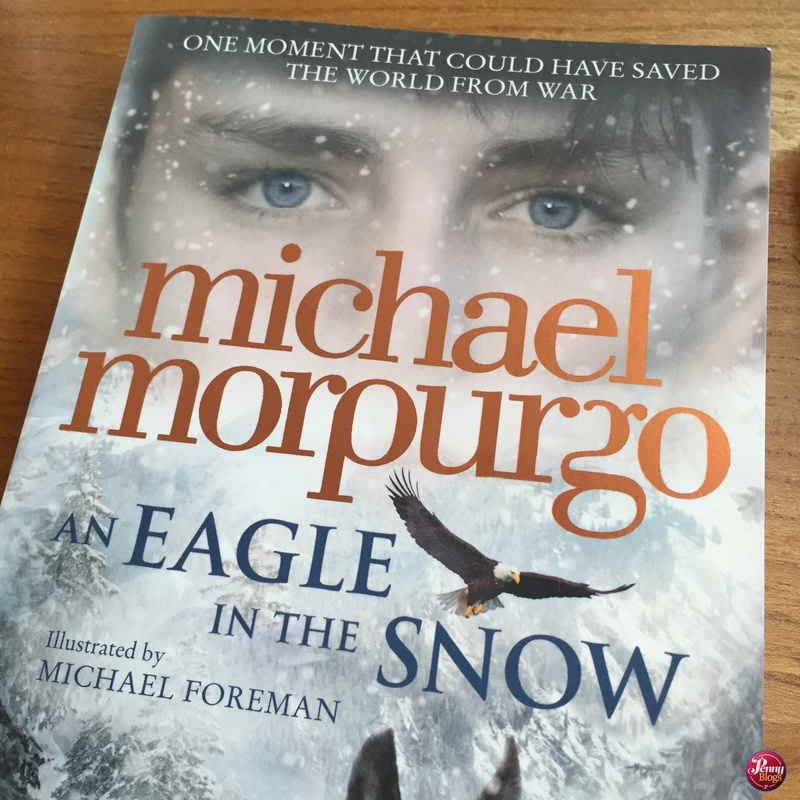 My daughter is Year 4 at school and loves reading and took to this straight away as a book to read on her own. It’s also perfect for sharing with children (either older or younger) and with there being a page per person it’s nice to be able to split it up and read a couple of pages at bedtime or similar. The list at the start of everyone covered, makes it easy to dip in and out of the book if you prefer to do that rather than read it all in order. Since reading it, Little Miss C has already written proudly about the people she’s read about in Never Too Young in her school reading record, and she’s also spoken at length with me about how good it is to read about “children who do things, rather than just about grown ups”. What more can I say? Never Too Young! was written by Aileen Weintraub and illustrated by Laura Horton. It was published by Sterling in September 2018 and priced at £11.99 in hardback, but is available for less (£7.82 at the time of writing). ISBN 9781454929178. It is available to buy online here. Disclaimer: We were sent a copy off Never Too Young! for the purposes of this review. All opinions remain my own. This post contains affiliate links. 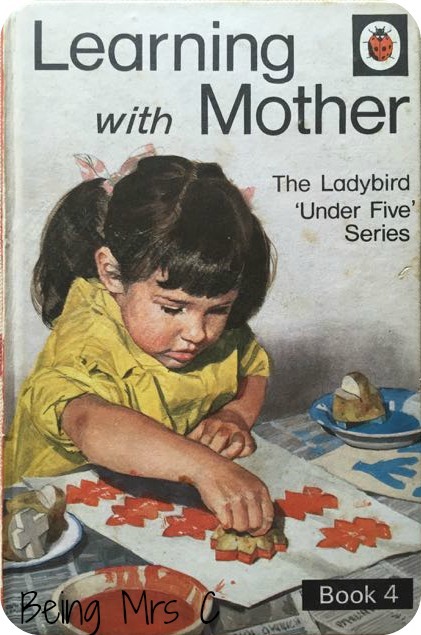 Learning with Mother Book 4 original featured as part of the Ladybird Tuesday series over on Being Mrs C. As I prepare to start on the motherhood journey afresh it seemed an obvious choice to move over to Penny Reads. And it’s also possibly time to refresh my memory as to what I’ve got to come over the next few years! 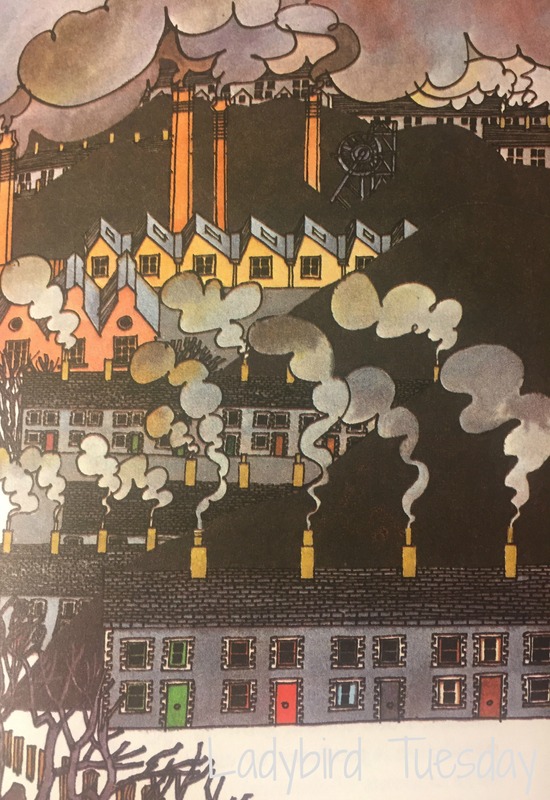 And who could possibly resist these gorgeous vintage illustrations? 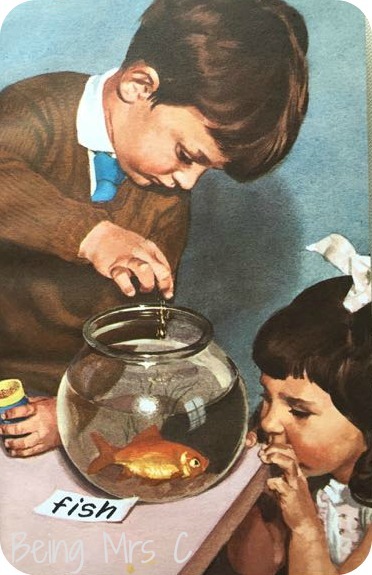 As soon as I see this particular Ladybird book, or in fact any from this Learning with Mother series, I’m somewhat overtaken by emotion and a desperate desire to give my children the wholesome, educational upbringing that it shows. I’ve covered Book 2 from the series before on Ladybird Tuesday, but Book 4 (covering 4 – 5 years of age) deserves its own post too now that it’s in my collection. This Under Five series (number 702 for any keen collectors reading) is designed to fit in with the belief, stated inside the front cover, that “almost half of your child’s intelligence will be decided by four and a half” and it is therefore targeted at parents who want to give their children every opportunity to develop to their maximum potential. The book starts with a really good description of the development stage that 4 – 5 year olds are at and what sort of opportunities they need to given to help them in their development. Published in 1971 this book was written at a time when parents made their own entertainment for their children during the day, instead of the present day schedule of toddler classes and trips out. It really was Learning with Mother. I strongly believe that there’s a lot we can learn from how children spent their days as I regularly feel that many modern day children don’t have the simple, old fashioned, ability to entertain themselves. Learning with Mother really does contain some lovely ideas of activities to do with children and also examples of everyday things which have great learning opportunities behind them. I really love the activities in this book, especially because they’re so simple but engaging for children. I spent Sunday with my mum and Little Miss C at a 1940s experience (a whole blog post about that very soon as I loved it!) and it was fascinating watching LMC play in the children’s room there. She loved all the simple games and toys that they had and kept asking to go back to play with the toys there for the rest of the day. Children don’t need modern day technology to keep them amused, it’s just turned into a habit for us to give them that sort of thing. 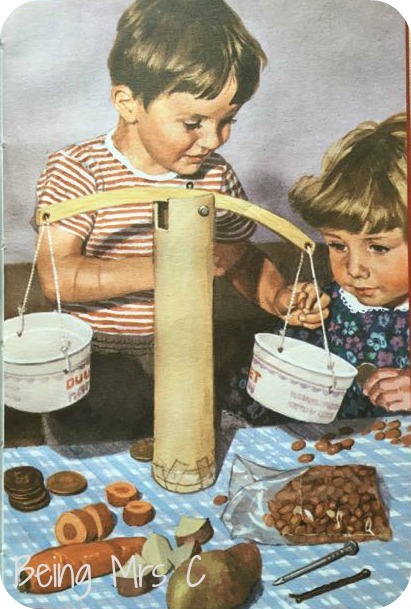 I’m determined now to set my kids off with some old fashioned traditional toys and games based on both what I see in Ladybird books and also what children had during the war. Hopefully I’ll be back soon to share how we’re getting on.